At Arrowhead RV Park, you are one of the family! Specializing in welcoming recreational vehicles, at Arrowhead RV you will enjoy a family atmosphere with all the amenities that modern life has to offer, including access to wireless Internet services via Wi-Fi technology. Several activities are offered nearby: golfing, a shopping centre as well as a variety of tourist attractions. 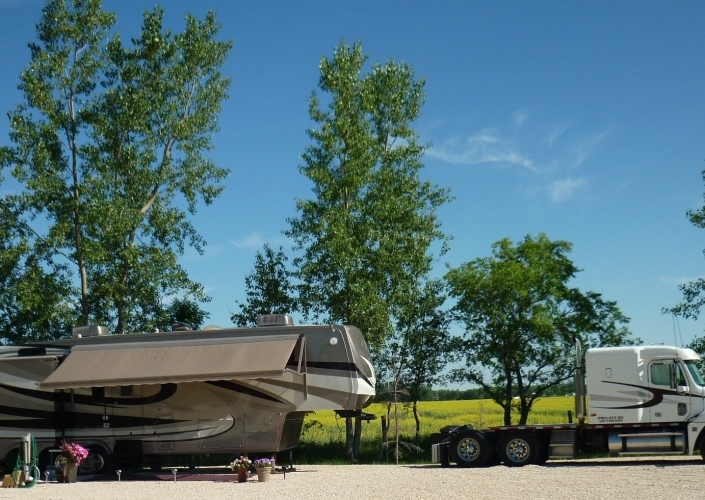 Its ideal location only ten minutes by car from Winnipeg allows you to enjoy the fun of big city life as well as the quality of life one can find only in a rural setting.